How human driven innovation can take advantage of that process to enhance our journey towards a more balanced development? I’m at the Lisbon airport, about to embark back to Madrid, where I’m living. During the last day of my trip around South America I had the opportunity to give an interview to one of the most important journalists of Uruguay, from the local newspaper El Pais. A person of great wisdom, with decades of experience interviewing people from all over the world. It was truly a great pleasure to talk to him about Economic Sociology, Entrepreneurship and Emerging Economies. Together, we almost got to the conclusion that Uruguay could arguably not be considered an emerging economy, as we discussed about levels of corruption, bureaucracy and freedom to start a business in the country. At certain point we caught ourselves wondering if violence and corruption in many places of Latin America weren’t easier to get hidden behind the crowds of the large and overpopulated cities. Murders and corrupt politicians (I put them in the same category on purpose) get protected by the anonymity within these large amounts of people, with illegal incidents flooding inefficient courts of justice incapable to solve problems before new ones arrive. With little more than 3 million inhabitants, Uruguay has an upper class of about 300 thousand people. These people meet each other in theaters, movies and restaurants, knowing easily each other’s family members and actions. Honor still has its value and people don’t want to see their names used in an inappropriate way. In Uruguay, it is still better to be a respectable medium or upper class citizen than a rich corrupt “ghost” that will have to avoid facing society and have his/her family and history marked. I was thinking about corrupt and violent countries with small populations (there are plenty) to see if this naïve hypothesis would apply but it doesn’t. So the burden of size and the freedom to do wrong things in anonymity alone unfortunately does not explain these social problems. Religion doesn’t either. Education or lack of huge social inequalities perhaps? 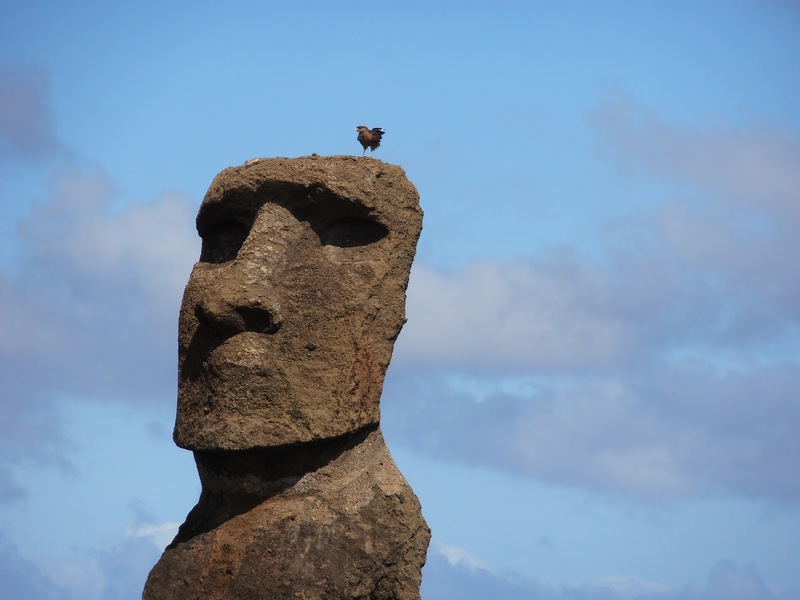 What does religion have to do with Entrepreneurship? Well, why is all of that religion discussion so important to me? Because you can’t understand most of the underdeveloped or developing economies of the world – and be able to dialogue with people living there – if you don’t consider under which social standards or value systems their logic are based on (I’m assuming you were raised in a western developed country). What motivate their/our efforts? (I include myself here in the group of developing nations) What makes people to start profit-based or non-profit-based ventures there? If you simply rely on the fact that they/we are as capitalist as you, you will be incurring in a tremendous initial mistake. You won’t get their/our trust, and if you don’t get their/our trust you won’t make good business with them/us. A lot of hints to share in this post… I’m angry because yesterday I already had 3 paragraphs written when suddenly the WordPress for Blackberry shut down… Grrr! I will get an iPhone! Well, after the first – already mentioned – day with visits to Google, Electronic Arts and Symantec, in the next day we had a busy day meeting other members of the Silicon Valley ecosystem. 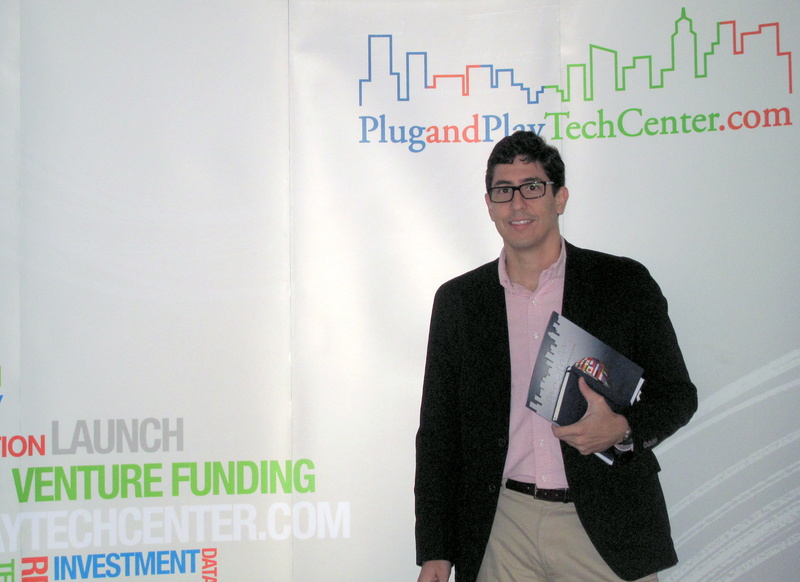 We visited Plug and Play Tech Center, an inspiring incubator-like type of place, designed to support tech ventures in their early stages, check it out. They call themselves “Startup Accelerators” or a kind of a “Silicon Valley One Stop Shop”, providing pre-seeding support and eventual partnerships with local Venture Capitalists. 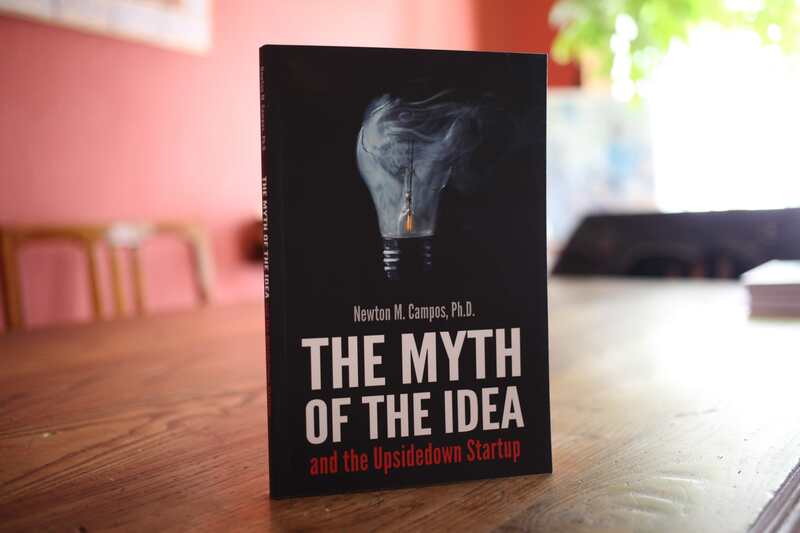 In 2010 alone, more than 150 million dollars were raised for some of the 170+ start-ups sharing the space. More than 3,000 business plans apply for a spot in the place in a single year. Although I liked a lot the whole thing, in my humble opinion – as member of the e-learning “industry”, I think they are still too brick and mortar, promoting countless face-to-face events but very few online activities (it sounds quite contradictory, don’t you think?). 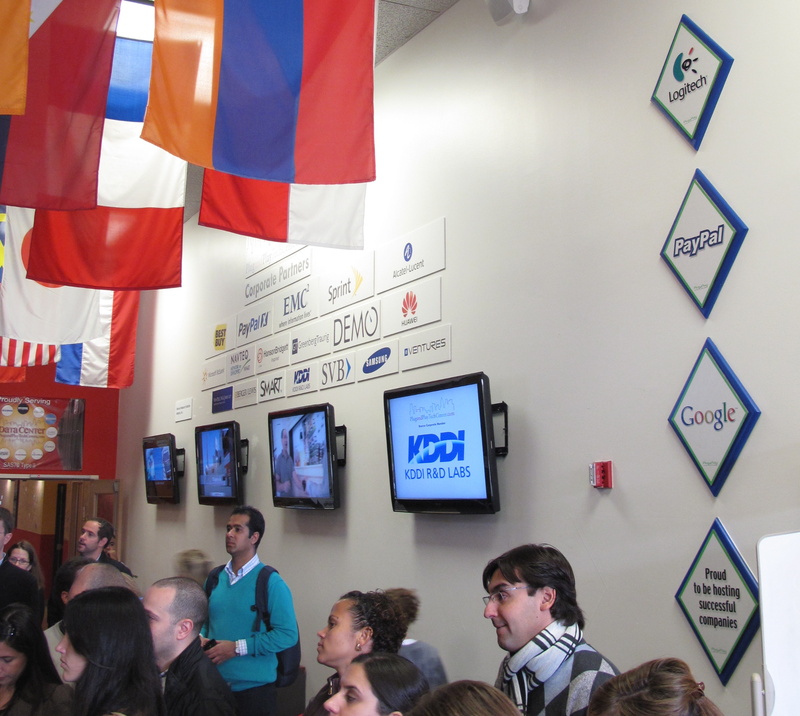 In the picture you can see some of the most famous companies that started at Plug and Play: Logitech, PayPal and Google. However, the most useful exercise was to listen to some of the founders of ventures currently hosted at Plug and Play: PasswordBank, Userzoom and iCharts. Their insights were really interesting as they explained all the process they had to go through to get to the level they are now, in a positive path. – Clients in the US like to ask for a POC Prove of Concept (click here). Well, I have more notes to share soon. Just would like to show something before. 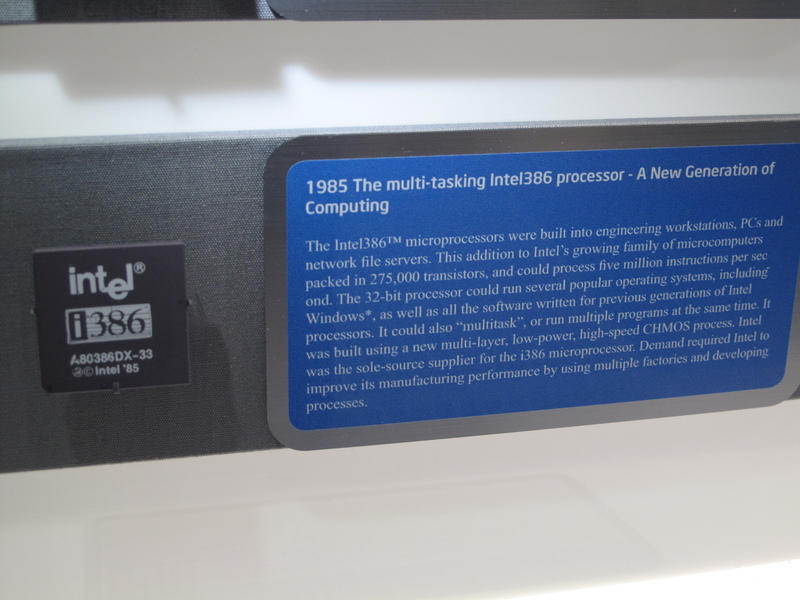 I had the chance to visit the Intel Museum and found this little chip in there, one of the first (material) things that I fell in love (!) in my life: a 386. I know it sounds really geek but I was really dreaming about this little thing when I was 15 years old. Since 2010, with the arrival of more people dedicated to improve everything related with Blended Education at IE, changes have been occurring to a number of programs and processes. Some important changes where the change of the second face-to-face week of the Master in Digital Marketing (MDM) from London to the Silicon Valley. The other one was the possibility of Global MBA (GMBA) students to join the MDM group as well as some MDM alumni. I decided to join the group to see this new “feature” of these programs but also to meet some friends in the Bay Area and to look for activities in the Online Education and the Online Media industries. Almost 50 people formed this nice group of students, all with that ”crazy taste” of diversity that characterize all IE groups. They had some classes on Monday and Tuesday so I joined them on Wednesday, for the first series of visits to companies and players throughout the Silicon Valley. 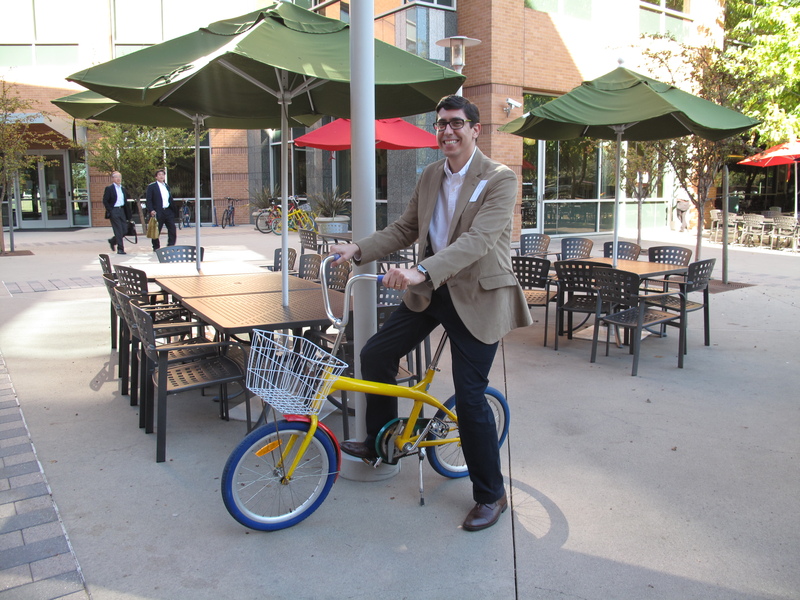 We started by visiting the famous Google Plex (see picture), where we were received by one of the many IE alumni working in the company: Marco Marinucci (International Executive MBA, 2004). Marco is in Google since 2006 – a long time for the industry standards – and showed us the installations and the history of the Silicon Valley. After that, we got into an important review on the latest trends on mobile advertisement, with the Head of Gomo (Go Mobile). At the end I stayed with some key sentences from this visits: “Innovation is about what’s going to be next”, “Talent + Money + Creativity = Innovation” and “you cannot plan innovation, all you can do is try hard to be in the right place and prepared”. But the day was just starting. We still went to EA, previously known as EA Sports. It is an amazing company, now struggling to quickly identify small innovative players to either acquire them or work with them, all over the world. From that visit I got with the sentence: “Videogames = Math + Art”. Where “Art” is the unpredictable variable. Unfortunately I missed the last visit at Symantec where students were going to discuss about security systems. Overall I considered this first day a great welcoming day to start feeling what was the Silicon Valley about. I confess I knew a lot about it from my previous visit to the region and from many years of studying the subject, but still, it was a great day.